View More In Memory Sticks. 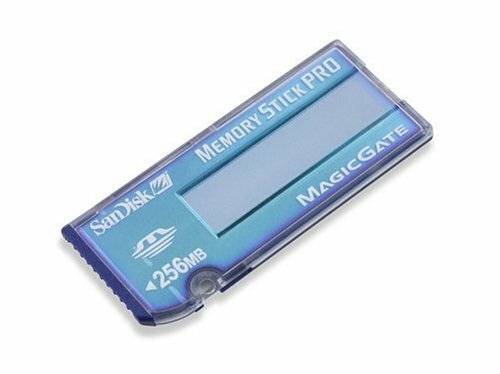 Capture and play back DVD-quality video in real time, or store CD-quality music or high-resolution digital images with this SanDisk 256MB Memory Stick Pro. Features larger storage capacities than standard memory stick cards; high-speed data transfer rate of 15Mbps for DVD-quality video in real time; and has advanced security due to the Access Control Function and Magic Gate technology. Memory Stick Pro is compatible only to Memory Stick Pro enabled devices.